None of us know when we’re going to die. The time will come as a surprise for most, ready or not. Enlist Surprise Invite NOW, to create an uplifting Parting Gift for later, when healing + happiness will be needed most. The Party (Plan) Starts HERE! This is a video of you inviting guests to “Party On!” It will be played at the beginning of your Celebration of Life. Forget the boring, expected eulogy given by someone who didn’t know you. This FUN SURPRISE is a video of you highlighting the favorite stories of your life. 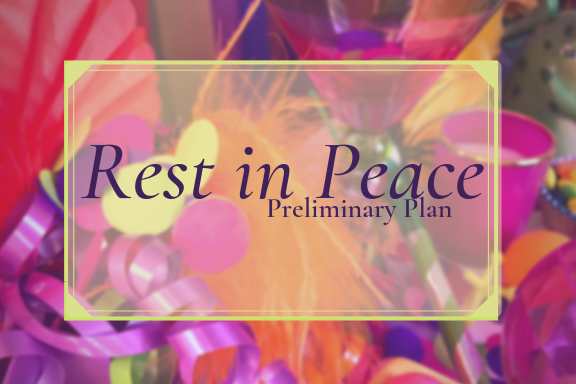 Entertain your Celebration of Life Guests. Tell the story of your life through the perspective and memories of those who knew you well.